mod_perl integrates the complete Perl interpreter with the Apache web server. With mod_perl, programmers can take existing Perl CGI scripts and plug them in, usually without making any source code changes. The scripts will run exactly as before but many times faster. In addition, mod_perl offers a Perl interface to the Apache API, allowing full access to Apache internals, so that programmers can control every aspect of the Apache server.mod_perl Pocket Reference is a concise, conveniently formatted reference to all mod_perl features used in day-to-day mod_perl programming. 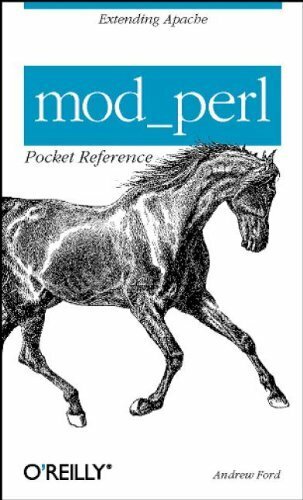 This small book covers functions as well as configuration directives that help maximize the effectiveness of the mod_perl Apache module. About: A compact, conveniently formated guide to all features used in everyday mod_perl programming covers a wide range of functions and configuration directives designed to help maximize the effectiveness of the mod_perl Apache module.